Add to the lighting and décor of your Christmas tree with this 14-inch Multi Fiberoptic Angel Treetop by Kurt Adler. 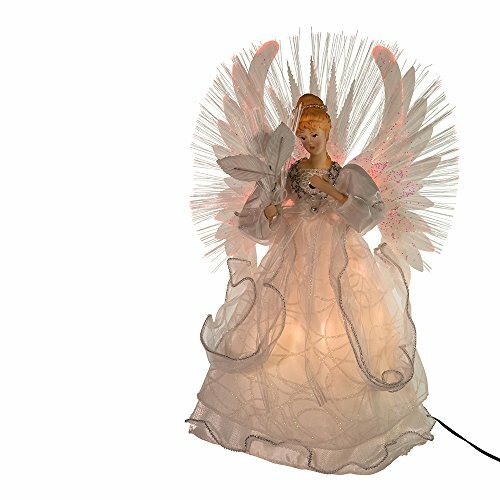 Sure to be the focal point of your tree, this beautiful angel is wearing an intricately embellished ivory gown, and is framed by large, multi-colored wings that are illuminated by fiberoptics for a shimmering, unique look. Supermoss (50310) Fairy Garden Kit, Mixed Mosses, 4oz.